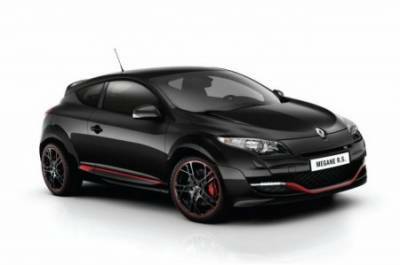 Renault has released the British market a new model sports bar «Megane RS». Hatchback will be available in two versions - Megane RS 265 Cup with a price of £ 24.825 and RS 26.025 per 265 pounds. Both models are more powerful than the original Renault Megane 265 to 15 horsepower and 20 lb.-ft. of torque. That is, their power is 261 horsepower and maximum torque of 360 Nm. To 'weave' new accelerated by only 0.1 seconds faster. But, in general, result in 6 seconds is not too bad. Maximum speed is 254 kilometers per hour. Megane RS 265 is different from his fellow Cup suspension settings, 18-inch wheels with tires 235/40 R18 95Y Michelin Sport 2, a system of differential lock brakes and Brembo.